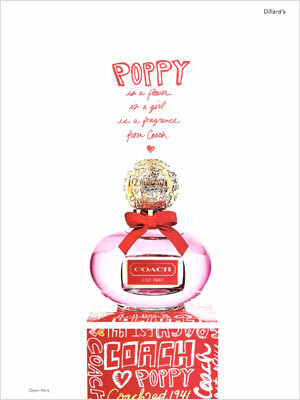 Tagline Poppy is a flower, is a girl, is a fragrance, from Coach. It's the one to-do list you'll want to do. 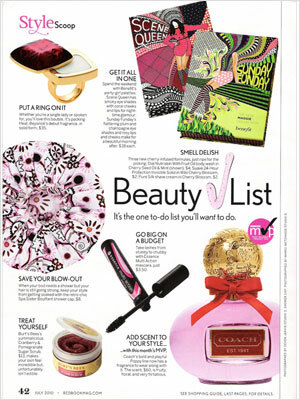 Coach's bold and playful Poppy line now has a fragrance to wear along with it. The scent, $60, is fruity, floral, and very flirtatious. Coach Poppy Perfume for Women Collection - Coach Poppy: inspired by the playful spirit of the Poppy girl, this fragrance brings your youthful fresh vibe to life. It's flirty, fashionable and fun! Experience the scent with all of the amazing products in the Coach Poppy fragrance collection for women.